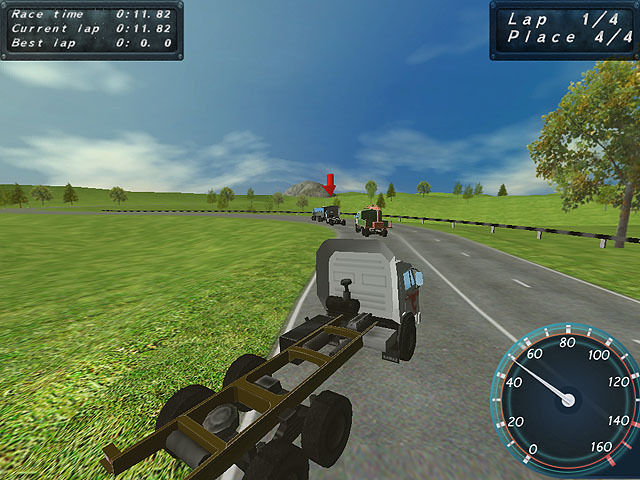 3D truck racing game. The main purpose of trucks is the transportation of heavy loads. But it is very interesting to try them out on the sports track. These trucks are equipped with powerful engines, tuned, and the body and cabin rigidity is increased. And then they are able to go on routes of almost any complexity. Soak up the specific management of large trucks and try to keep control of the power, because the unpredictable twists and breaks will test your driving skills.